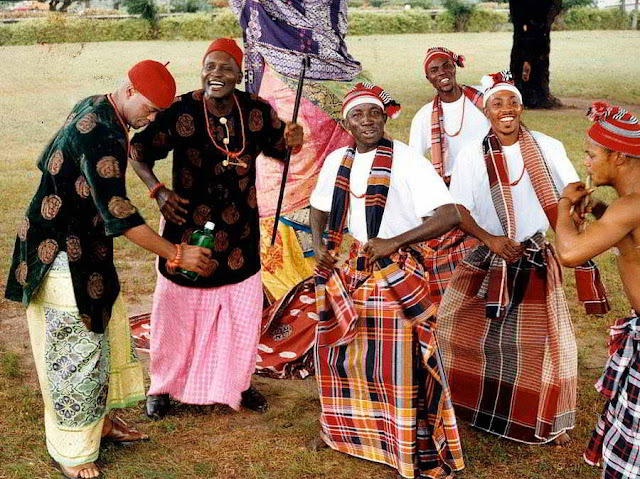 The Igbos, one of the main ethnic groups in Nigeria, are known to have a rich culture and remarkable history. While modernization has ensured the erosion of certain aspects of their culture, much of its history has been preserved, including relics from the past which reveal its heritage. Below are five of the places where the culture and history of these people who dominate the eastern part of Nigeria can be discovered. 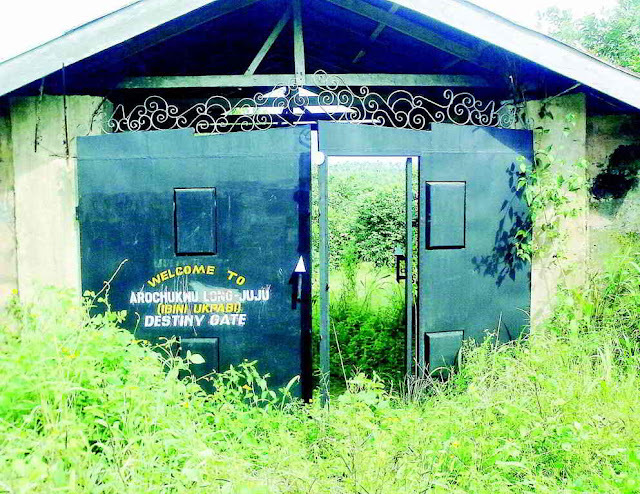 The Igbo-Ukwu museum is in Ngo village, Igbo-Ukwu, Amabara state. 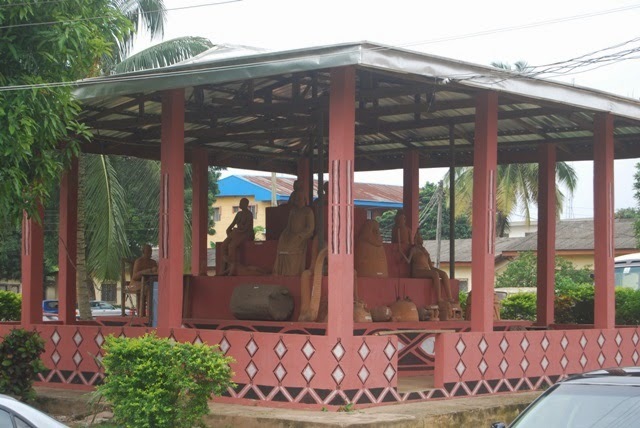 The town, Igbo-Ukwu is of great historical and cultural significance in Igbo land as it is notable for bronze artifacts from a very sophisticated bronze metal-working culture centuries before other known bronzes of the region. It is in recognition of this that the Federal Government in Nigeria granted approval for the hosting of an annual National New Yam Festival in Igbo- Ukwu to promote the culture and tradition of Ndigbo and new yam festival. The festival takes place at National Yam House built by the Federal Government in Igbo- Ukwu since 2005. The Igbo-Ukwu bronze treasures were accidentally discovered by a worker who was hired to dig a cistern by Mr. Isaiah Anozie during dry season in 1939. Subsequent archaeological excavations of the area led by Professor Thurstan Shaw led to the discovery of other sites , making a total of three sites: Igbo Isaiah (a shrine), Igbo Richard (a burial chamber), and Igbo Jonah (a cache). Among the recovered object include a ritual Pottery Vessel,Scabbard, Pendant with rams head, Human face with scarification, Bronze bowl and a pear – shaped bowl. While some of these artefact have been exported and some lost, the Museum plays a significant role in preserve the remaining Igbo ukwu pieces, indigenous productions, which are vital in discerning the ancient history of not only Igbos, but of the human existence within ancient Africa. 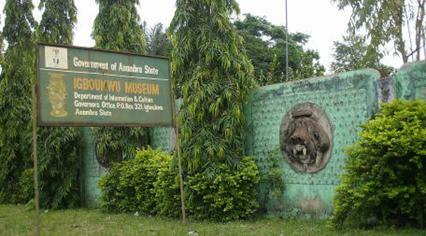 lgbo-Ukwu Museum has remained an attraction to tourists mostly because of its bronze artifacts. It is great place to visit as the bronze pieces are a sight to behold. Although Mbari is a monumental art sacrifice to "ALA" the earth goodness, it also shelters artistic representations - artefacts as well as sculptures- which tell of the prevalent social life of the Igbos and images of other prominent deities that inhabit the traditional Igbo cosmic system. These deities include Amadioha (the god of thunder), Ogwugwu (the god of the forest), Nwaorie (the goddess of Nwaorie River), Ahiajoku (the god of harvest), etc. Closely attached to each deity are images of animals such as monkeys, tortoise, rams, snakes and owls, believed to represent errand spirits or mystical messengers of the deities. There are also images of Ikoro, the Igbo traditional instrument for communicating messages; unfamiliar creatures such as the ostrich (Enyi Nnunu); a certain tall figure representing Alakuko, allegedly the tallest man in Igboland; ‘Onye afo toro’, a man whose stomach became bloated because he committed an abomination against Ala, etc Contrary to general assumption, Mbari is neither a centre for idol worship nor an idol in itself. It is an art form that has its origin very deep in Igbo cultural and religious beliefs and practices. The Mabari cultural centre is a three dimensional cultural facility, made up of the Mbari House, Mbari Museum Kitchen and an amphitheatre, and definitely a must-see location. The Museum Complex opens at 10am and closes at 6pm daily with a gate fee of N100 (one hundred Naira, less than $1). For those who did not experience the civil war, they may not get a mental picture of how it occurred without visiting the museum. And for those who did, they could relive the period by visiting the museum. It is a perfect way to gain firsthand knowledge of the civil war, a huge part of Nigeria’s history. It is certainly a place to go. 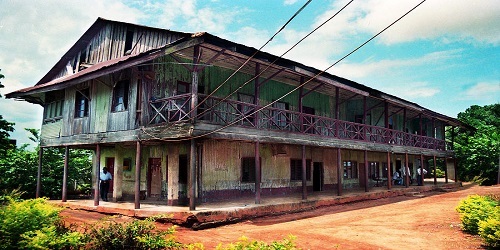 The house was constructed by the Royal Niger Company (RNC) in 1886 and served as the first British administrative headquarters in the country and invariably the first government house in Nigeria. The Mungo Park House offers education on Nigeria’s rich historical background (mainly that of trade and investment in pre-colonial era) and journey to civilization. Although some parts of the building are slowly dilapidating due to the elements (weather corrosion), it is definitely a place to visit. 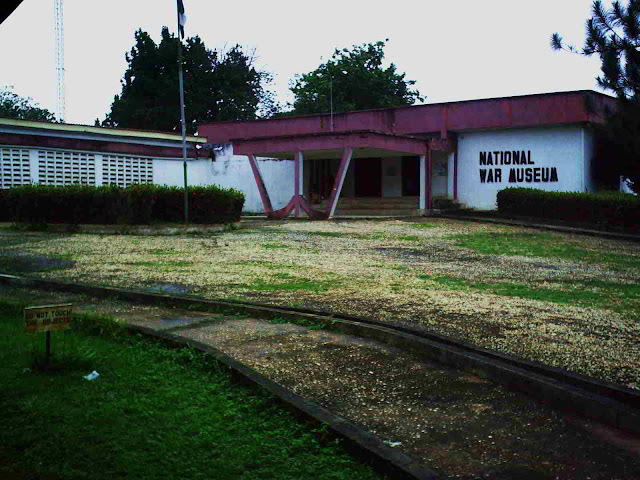 The museum is also just a few blocks from the popular Grand Hotel, Asaba.